Fantastic END UNIT Townhome in OUTLOOK! With no neighbours behind, this home backs onto Elementary School propery and overlooks the Park. Spacious OPEN style Kitchen. Luxury GRANITE COUNTER TOPS, Island with Sink, Pantry, and STAINLESS STEEL Appliances. Dining room / Living room combo with fireplace Large Window gives lots of NATURAL LIGHT. Handy 2 piece Powder Room on |Main. 3 Full sized bedrooms upstairs with a full Bathroom. Master Bedroom boasts a Gorgeous Ensuite and Large Walk in Closet. Downstairs offers a FLEX Room with Backyard Access. HUGE BALCONY perfect for enjoying nature and entertaining. Double Tandem Garage plus a 3rd Dedicated parking spot beside the unit. 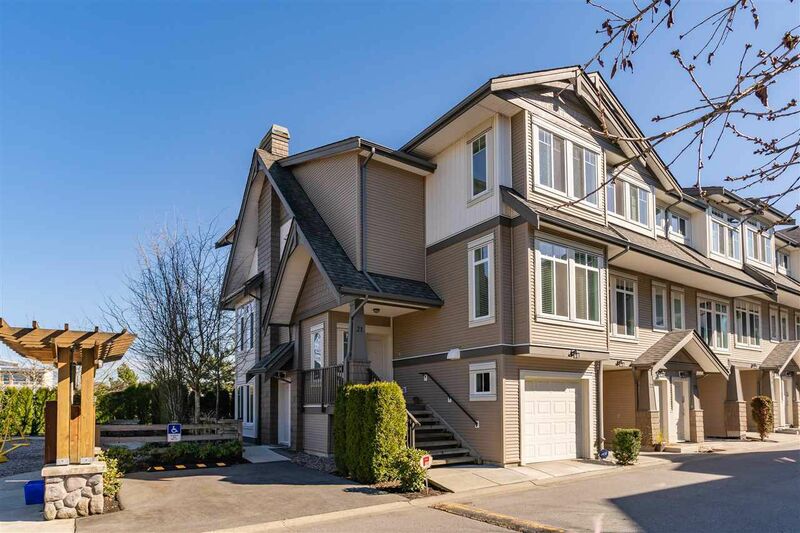 Short walk to Schools Daycare, shopping, transit & entertainment. Excellent Value and a Great Opportunity!